The Caribbean Princess suffered from a propulsion failure yesterday (August 3) while sailing towards Dublin, Ireland in the Irish sea. In a statement which Princess Cruises put out, the 112,900 gross ton vessel lost propulsion at around 25 nautical miles from Dublin. All onboard operations were operating normally with no risk to passenger and crew safety. @davidbranigan The ship has electrical power and is operating full ship/hotel services, inc. air conditioning, galleys, lighting & toilets. The ship was assisted by local authorities and Princess Cruises which operates the vessel is currently looking into how the problem occurred. Many guests onboard posted updates on Twitter. The cruise line did post on Twitter saying the propulsion was caused due to an electrical glitch in the engine room. At 0700 local time, Caribbean Princess lost propulsion approximately 25 nautical miles southeast of Dublin in the Irish Sea. The ship has electrical power and is operating full ship/hotel services, which includes air conditioning, galleys, lighting as well as toilets. All guests and crew are safe and secure. Our Fleet Technical experts, working in collaboration with the Captain and Chief Engineer aboard the ship, have successfully restored propulsion. However, the call to Dublin today has been cancelled. Guests who booked shore excursions through Princess will automatically receive a refund to their shipboard hotel folio. The ship is now enroute to Belfast (Northern Ireland) the next port of call on the itinerary. Fleet Technical and electrical engineering experts have been deployed to meet the ship in Belfast. Further impact on the remainder of the itinerary is not yet known at this time. There are 3,306 guests and 1,158 crew members onboard this voyage. 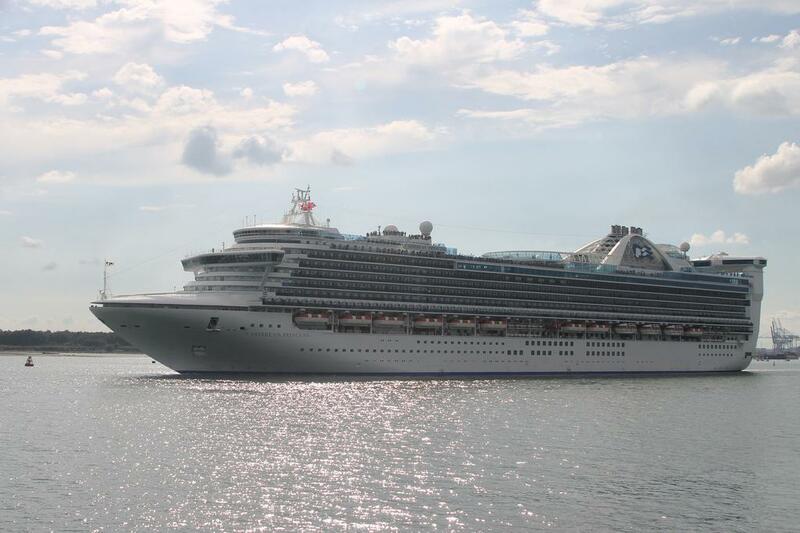 Caribbean Princess is on day three of a 12 day cruise which departed Southampton, England on July 31. As a result of the propulsion failure the Caribbean Princess cancelled the scheduled port of call at Dublin on August 3. The ship instead headed towards Belfast where it’s scheduled to arrive on August 4. All guests onboard are being reimbursed for the missing to call in Dublin. Princess Cruises has announced it will return to the breathtaking cruise destination of Tahiti in 2020. It's now time to start planning your ultimate bucket list cruise! Princess Cruises has announced details on its 111-day world cruise which will visit 50 destinations and 32 counties across six continents. It truly will be a dream bucket list cruise. Princess Cruises and Italian shipbuilder Fincantieri have completed contracts for the two next-generation cruise ships, they will be the largest ships ever built in Italy.